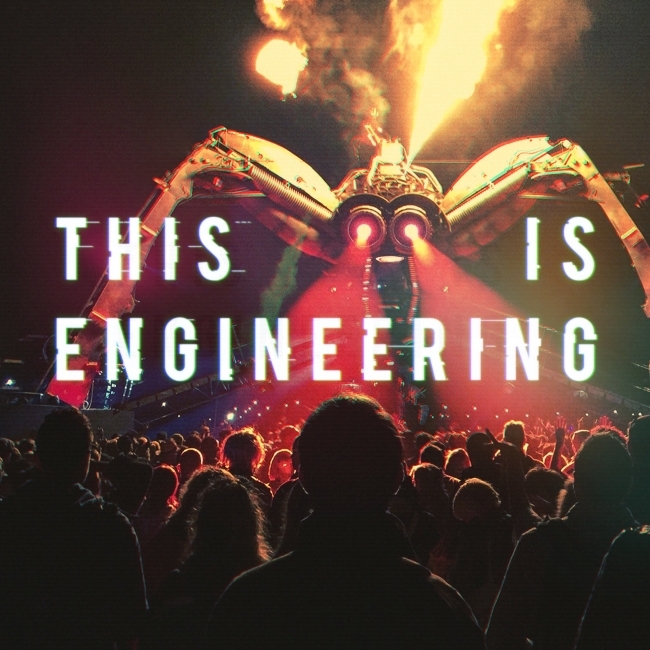 The #ThisIsEngineering campaign has been launched by the Royal Academy of Engineering in collaboration with EngineeringUK and industry partners to give more young people from all backgrounds the opportunity to explore how they could follow what they love into a varied and fulfilling engineering career across a range of industries from film, to sport, gaming and music. Launched in the government’s Year of Engineering, the campaign is being backed by a consortium of major engineering companies, and has been created in response to significant demand for engineering talent in the UK. Findings from a forthcoming EngineeringUK report show that there is an annual demand for at least 124,000 engineers and technicians with core engineering skills, and an additional 79,000 roles that require engineering knowledge and skills alongside other skill sets. Research conducted by YouGov on behalf of #ThisIsEngineering shows that 63% of young people (aged 13 to 18) think they will have a career that taps into their existing passions. They also said that when it comes to talking about the kinds of jobs they would like to do, they would prefer their parents to talk to them about their current interests, rather than what they want to be when they grow up. However, the research also shows that young people are not inspired by talking to parents about their jobs, and only 35% of young people believe their parents’ careers involve something they are passionate about. Instead, young people online are increasingly turning to the internet for information about careers (52%), with search engines overtaking conversations with parents (41%) and teachers (37%) as a source of advice and inspiration. Historically, the full breadth of engineering opportunities has not been widely understood or acknowledged, resulting in the perception that a career in engineering is narrow, technical and traditional. The #ThisIsEngineering campaign will help to reset the conversation about engineering, tapping into young people’s passions for subjects such as sport, technology and design, and illustrating through social media that the profession is diverse, challenging and creative. It aims to bring engineering to life for young people from all backgrounds, demonstrating the role it plays across multiple industries – from fashion to sport – and give young people a better understanding of how their current passions could become rewarding careers through engineering. Dr Hayaatun Sillem, CEO, Royal Academy of Engineering, said: “Engineering is essential to the future growth of the UK economy and underpins so much of our day to day lives, but we are still facing a chronic shortfall of talent. Engineering can provide a unique opportunity for young people to develop their passions into rewarding careers involving everything from sport, film and space, to music and fashion. It opens the door to careers that can shape the future – from developing the next smartphone to creating medical devices that will save lives. Mark Titterington, CEO, Engineering UK added: “The demand for people with engineering skills continues to outstrip supply; and provisional figures from our forthcoming report suggest that a continued focus on encouraging more pupils to choose STEM subjects and increasing diversity in engineering throughout the education system and into employment is vital to meeting demand. Minister for the Year of Engineering Nusrat Ghani concluded: “The Year of Engineering 2018 is all about transforming perceptions of engineering, showing young people from all backgrounds the immense creativity and opportunity of the profession. Careers in the industry are a chance for young people to shape the future and have a real impact on the lives of those around them. The Royal Academy of Engineering and EngineeringUK are partners in the government-led Year of Engineering, a year-long programme to ‘open the doors’ to engineering and encourage the public, particularly young people, to take a closer look.